B&B De Trigreppel is a cozy little house, where you can really relax. It is located alongside the small creek De Trigreppel, in – they say – one of the most beautiful streets of Akkrum. The harbour of Akkrum is about 150 meters from the B&B. 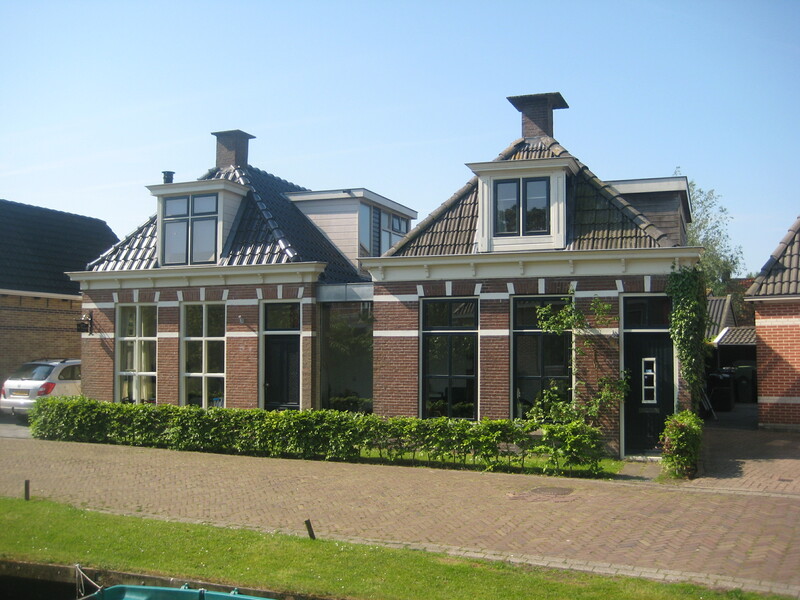 Akkrum is situated in the center of Friesland, so you can enjoy everything one of the most beautiful provinces in the Netherlands has to offer.If you are working in the area, De Trigreppel is also a suitable place to stay. You have your own entrance so you can come and go whenever you want. On the ground floor you find a common room with a kitchen, breakfast table and tv corner, bathroom (with shower) and a toilet. On the first floor there are two double bedrooms with a sink. One room has a nice view on the churchtower and creek. The large room (third bed is optional) is located on the south side. There is also an extra toilet on the first floor. When the sun shines, you can sit comfortably in the backyard.